Cardiovascular medical devices undergo particulate matter testing because once implanted, contaminants left on these devices pose serious risks to patient safety including blood clots and stroke. Particulate matter testing evaluates the amount and size of residual material left on the device following manufacture. 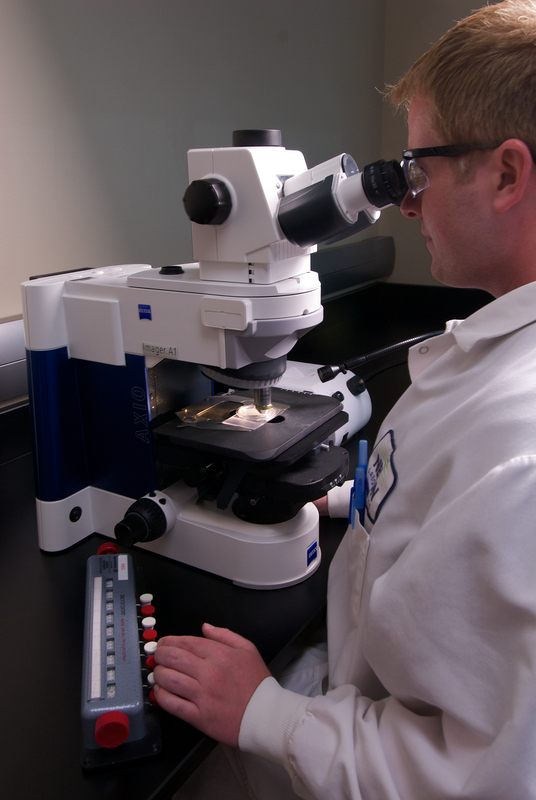 Particulate matter testing also evaluates the amount of residual material that may leach off of a medical device into the bloodstream throughout the life of the implant. To ensure the utmost safety for patients, particulate matter testing of medical devices is done according to two guidance documents: ASNI/AAMI TIR 42, and FDA’s Class II Special Controls Guidance Document for Certain Percutaneous Transluminal Coronary Angioplasty Catheters. EN 45502/ISO 14708 also provides information about permissible levels of residual particulate matter for implantable devices. Selecting an unbiased, qualified testing partner to evaluate particulate matter is fundamental to ensuring cardiovascular devices are safe for patient use. An experienced medical device testing partner like Nelson Labs will help manufacturers create a test protocol incorporating simulated use conditions for the device. The lab will also validate the test protocol to ensure that any particulate matter the device is exposed to is recoverable in the test process. The testing of the device will ideally analyze the interaction of the device with any device accessories, mimic clinical use, and evaluate human factors to determine an accurate real-world particulate count. While laboratory personnel will help manufacturers create and validate their protocol, the manufacturer is responsible for establishing acceptance criteria. ANSI/AAMI TIR 42 recommends using particulate matter data from a predicate device along with historical test data to establish acceptance criteria. Following an initial particulate matter analysis, ongoing postmarket surveillance should be considered. Postmarket surveillance offers device manufacturers the assurance that the manufacturing, packaging, and handling processes remain clean long after the initial validation. It also provides the necessary data to address changes or variances that may occur in the manufacturing process over time to ensure maximum patient safety. In the event that excessive particulate matter is found on the device, further analysis may be required to pinpoint particulate origin and correct the issue. This can be done via a microscopic particle investigation or fourier transform infrared spectroscopy (micro-FTIR) scan to determine the composition of the particulates. For more extensive information on particulate matter testing for cardiovascular devices, download Nelson Labs’ white paper, “A “Particle” of Prevention is Worth a Pound of Cure: The Significant Benefits of Premarket & Postmarket Particulate Testing of Cardiovascular Devices” from QMED.com. You may also visit Nelson Laboratories at www.nelsonlabs.com for more information about medical device testing. ← DuPont’s Tyvek Transition: Are You Prepared?